The most economical alternative to natural gut: the multifilament strings offer power and comfort. The duration is not very long, but guarantee superior sensitivity and playability. 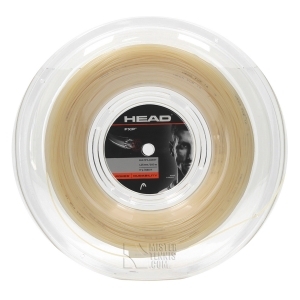 Visit the multifilament tennis strings section of the specialized online store and choose the ideal set of strings for your racket. The multifilament string consists of hundreds of microfilaments assembled together and covered with a protective sheath. 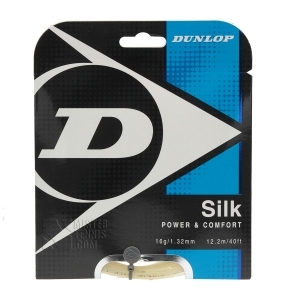 A tennis string with good tension, good comfort and provides more power than other models. 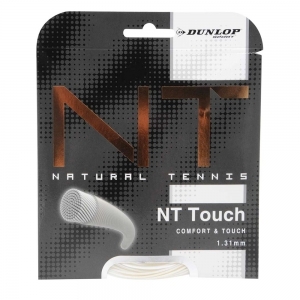 This is widely used in the junior circuit, by girls and by those who simply want an elastic and comfortable string, including many tennis instructors who take to the field every day. The way to the perfect string is a long process but for sure on Mister Tennis you will find the multifilament tennis v that is right for you! 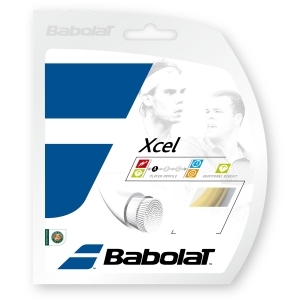 Head, Babolat, Tecnifibre, Prince and Dunlop are just some of the brands that are always available online in the tennis shop. Mister Tennis offers you the free stringing of your multifilament string with the purchase of a racket. We strive your tennis racket with the utmost professionalism, using Babolat Sensor Dual electronic machines, guaranteeing maximum reliability. All you have to do is choose one of the many multifilament tennis strings, you'll be spoiled for choice among the dozens of models of different brands that you find online. The assembly of your new multifilament strings is totally free, you will only pay the price of the string. If you are undecided about tension, choose the "I Trust" option, in the laboratory our technicians will apply the most suitable tension to the racket you have chosen. On Mister Tennis you will find a vast assortment of tennis strings, all the most used models, those chosen by the champions, the best strings on the market. 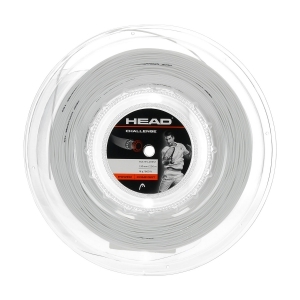 You will be able to choose between monofilament strings, these are rigid polyester strings suitable for high level players who hit hard, in top spin and who play frequently. And still the natural gut, the most expensive string but also the most qualitative and comfortable, which ensures excellent tension, good power and incredible comfort. The strings in synthetic gut are instead made up of many fibro-synthetic threads woven together. It is a soft and comfortable string, certainly suitable for the club player and the young man in training, whose main advantage is to have a good quality-price ratio. You can mount on your racquet two different string models, often of different categories just to benefit from the mix of advantages offered by the two armchairs. 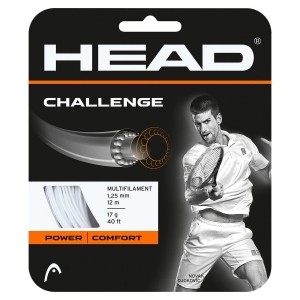 Try the hybrid tennis strings!